Carpinus betulus is a British native deciduous tree which is popular for as a pleached tree, due to it’s ability to regenerate after pruning and its seasonal variation. The leaves are a fresh green colour in spring and turn golden yellow in the autumn. Leaves grow up to 8cm in length, are ovate and ribbed. 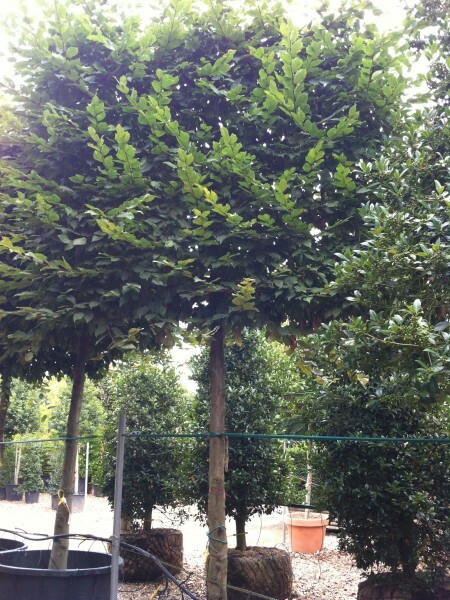 Hornbeam can be planted in sun to shade and in all soil types. This adaptable tree is available as a standard clear stem tree, a formal boxhead tree, arches, hedging elements and instant hedge.